That's what you get with this tesla coil!! 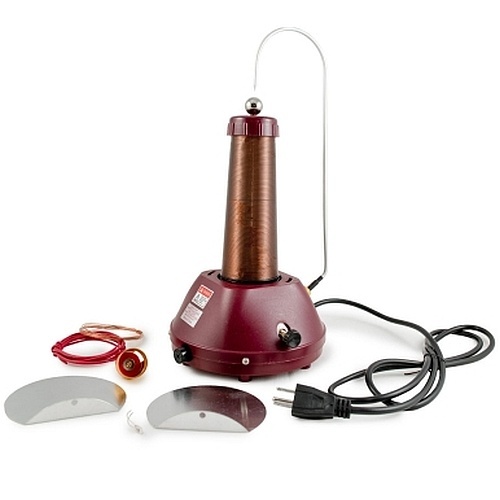 Brand new, commercial item, great for classroom demonstrations and experiments. The 50,000 volt capacity generator radiates high frequency energy through space... enough to light fluorescent tubes two feet away. 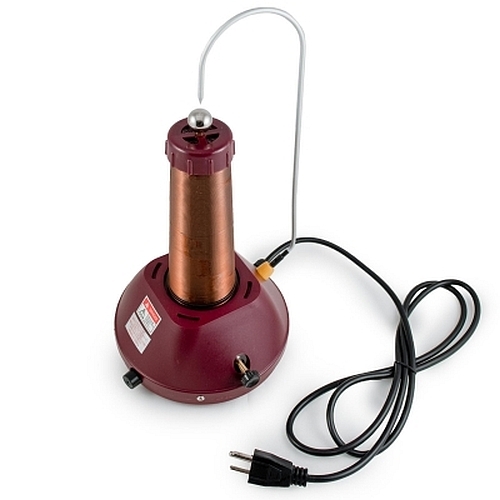 It uses 115 VAC (60 Hz) with an electro-magnetically operated interrupter buzzer, high voltage capacitors, inductive coil transformer, and a monopolar high frequency transformer generator to do the trick. 11" high, with a 6" sq. x 2" high protective housing for the generator. 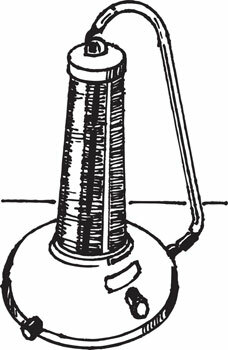 Includes accessories and instruction booklet with 19 experiments. Pretty amazing. But please, this is not a toy and should be used only under adult supervision. If the question is whether to tie a bunch of these giant latex professional weather balloons to a lawn chair, the answer is no. (The balloon bursts at about 82,000 feet anyway.) This is a true high altitude weather balloon, with plenty of fun, nonfatal uses. 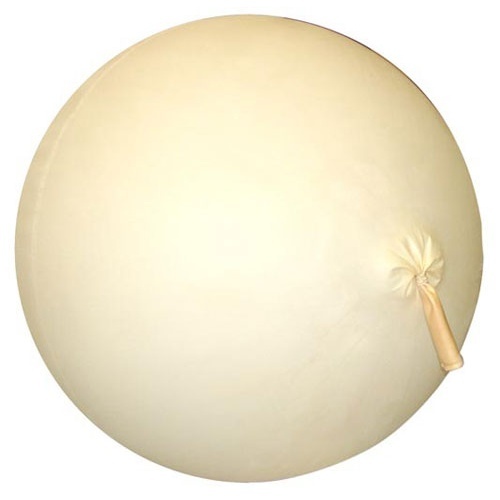 The cream-colored latex balloon is approx 40" dia when flaccid, you should pardon the expression, but has an 8-foot dia when inflated. The neck is 9" long x 1" dia. Scientists and meteorologists launch balloons to measure atmospheric conditions like wind speed and air pressure for weather forecasting, but clever inventors, teachers and the imaginative filmmaker are warned to launch the balloon carefully. The synthetic rubber material is delicate and not made to survive brushes with pavement, pine branches, or clumsy physics students. Red not available and only available in egg shell/cream color only. They might as well learn something while they're trying to outlast you on eating those lima beans. Set the table with educational placemats and they'll be at least a touch smarter after dinner, even if their vegetable intake is low. These laminated, 12" x 17-3/8" mats have full-color fronts, black-and-white backs. 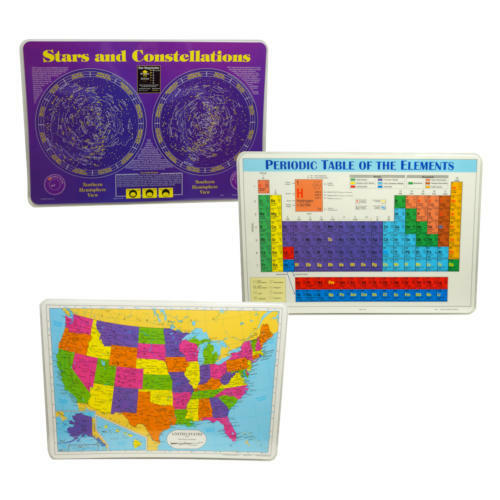 Choose the United States Map, Stars & Constellations, the Periodic Table of Elements or The Metric System. Nice little teaching magnet set for the primary grade classroom has (6) magnets in star, two-bar, horseshoe and ring shapes, all plastic coated in silver and red to mark the poles. Range in size from 1” to 3”, and include a few paper clips and small nails for demo purposes. Classroom and Science Fair alert: Now you can order an 8-pack of metals and metal alloys for demonstration purposes. 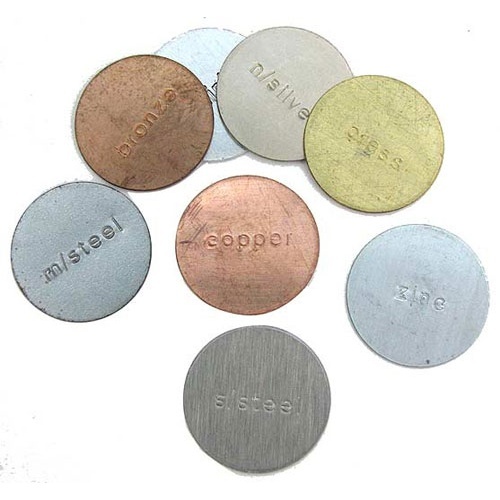 Each pack of 1" dia x 1/32" thick discs includes aluminum, bronze, brass, copper, n/silver (w/nickel), m/steel (mild: low carbon), stainless steel, and zinc. Composition of each is stamped on one side of the discs. We just learned that. You’d think we’d have known. Now we do. 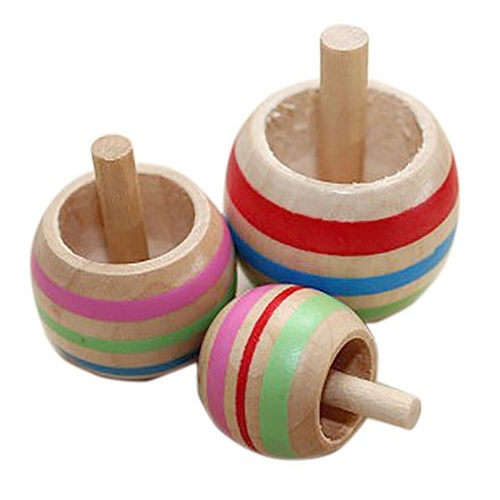 They’re sort of like round dreidels, with a hollowed-out middle around the stem, which causes them to turn themselves upside down while they’re spinning. Great lesson in center-of-mass instruction for physics teachers. Includes an explanatory booklet with activities and discussion topics. You’ll get (3) wooden tops at 7/8”, 1-1/4” and 1-1/2” dia. 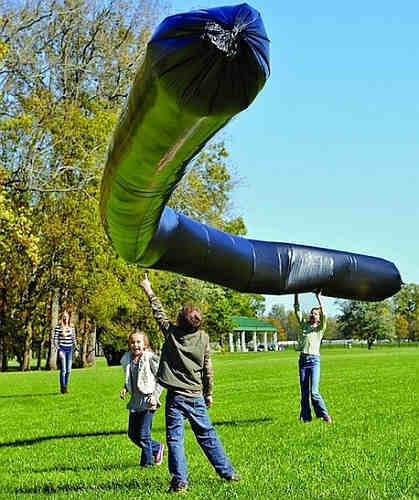 All you add is sunlight to use this 50-foot long solar balloon to prove that Bernoulli was right. Pascal, too. Demonstrate buoyancy, convection, thermodynamics and the power of the sun. Measures 29" dia and comes with 400 feet of string, and instructions. 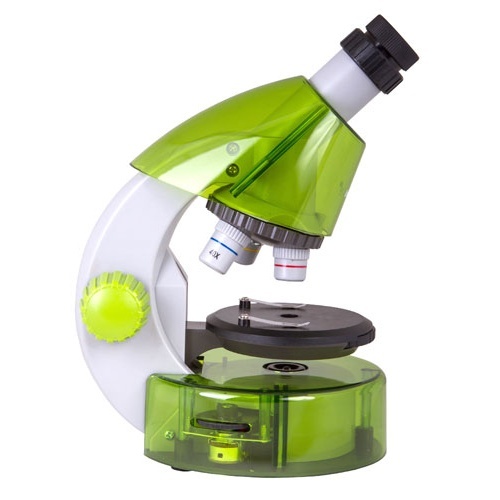 Begin their microscopic education here, with this 40-640X student microscope from Levenhuk®. Featuring an adjustable eyepiece, variable white LED illuminator, and adjustable iris. Comes with a cover; (5) blank and (5) prepared slides; pipette; brine shrimp, yeast, sea salt and glue samples; forceps; a microtome; 58-page user guide; and a 23-page manual. Includes (2) “AA” batteries and a lifetime warranty through the manufacturer. Sounds like a Portuguese percussion album, but it’s just an alnico bar magnet in a mount that lets it rotate freely to demonstrate the three-dimensional magnetic field. 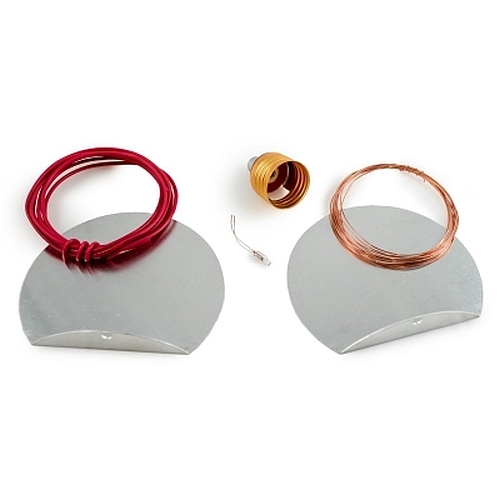 Ideal for experiments about forces between magnetic poles, fields around wire and coils, and the properties of fields produced by electric currents. Also handy as part of your ghost-hunting gear. Same here. Try the Ferrofluid Magnetic Display, a little sealed bottle with virtually fluid nano-particles of ferrous metal suspended in liquid. You’ll get (4) powerful 1/2” dia x 3/16” neodymium disc magnets, (2) of them attached to chess-pawnish holders. 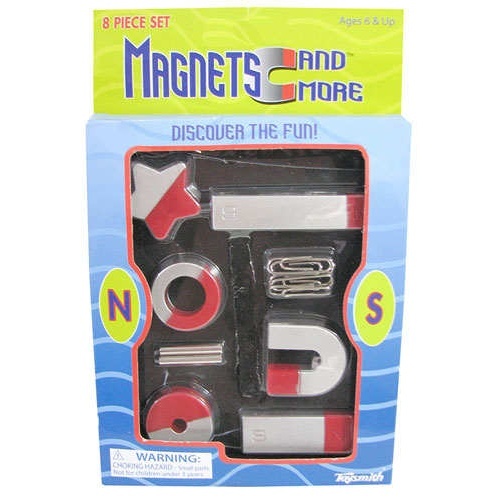 Move the magnets in assorted combinations around the bottle for fascinating effects. 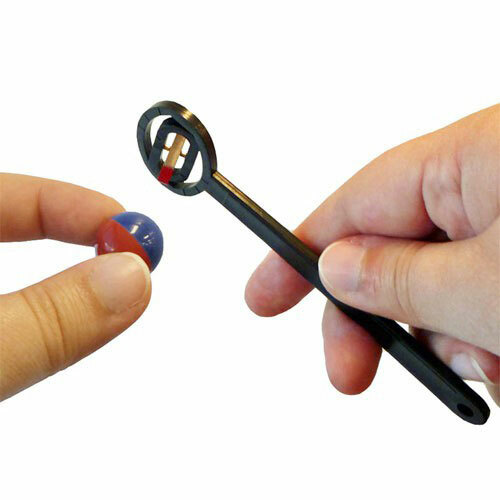 Sort of the marriage of science with desk toys, but students can’t spill these particles all over the place. 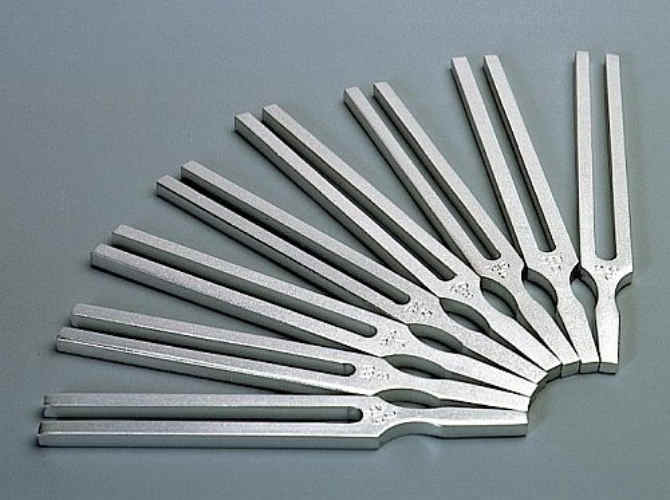 You can start with our single aluminum tuning fork, 2-tined and 7-1/2" long. It vibrates at 256 hz, and is labeled "C". Or you can order the set that has (8) forks and a mallet with a rubber-tipped plastic head. The forks are labeled low-C to high-C and come in a fitted, latched wooden box. Unfortunately, C.J., who has perfect pitch, tells us that his pitch is more perfect than most of the tuning forks. He also says you can file the tips, tuning them to an electronic keyboard until they're perfect - and we think there's a certain cachet to telling people you tuned the forks yourself. But they are perfect, if you're using them for things like teaching principles of sound or driving the chihuahua crazy.